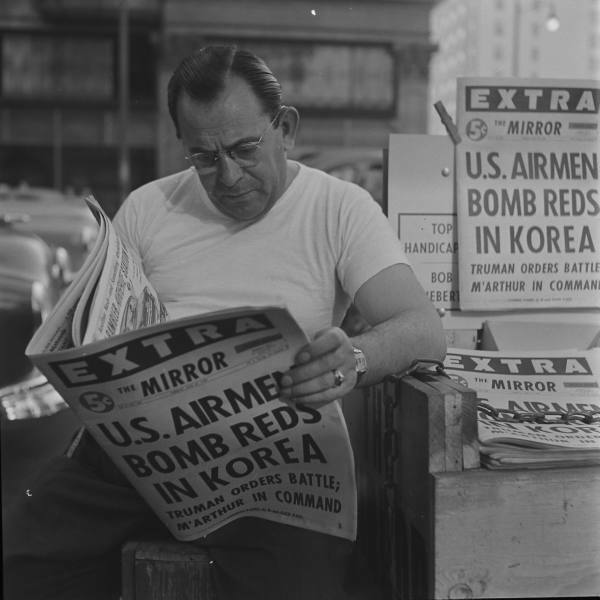 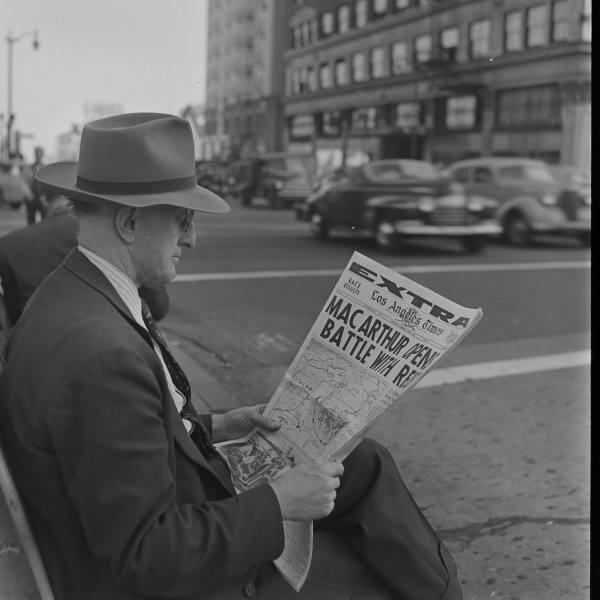 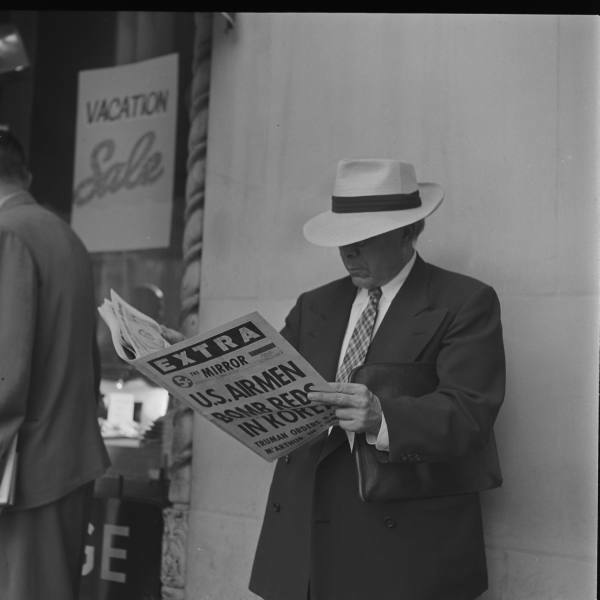 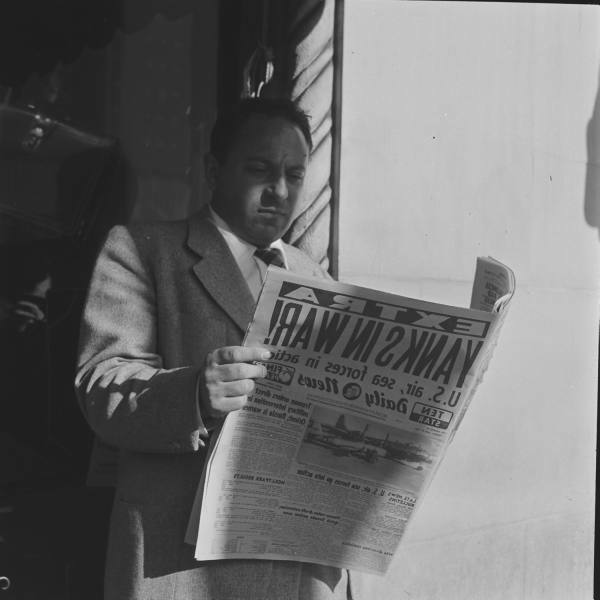 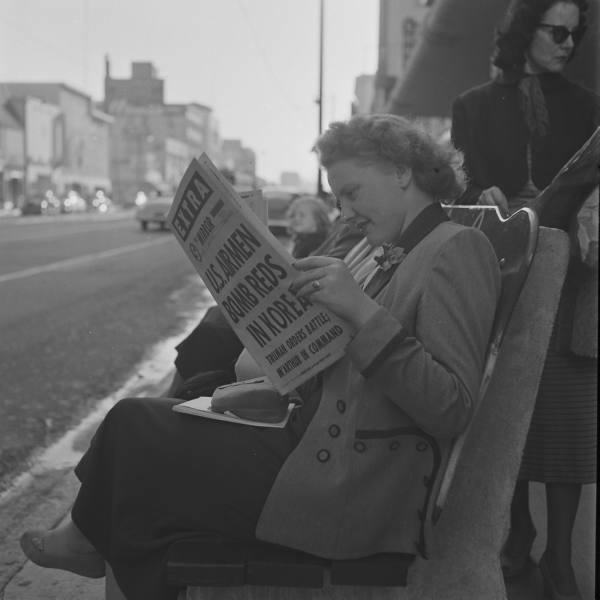 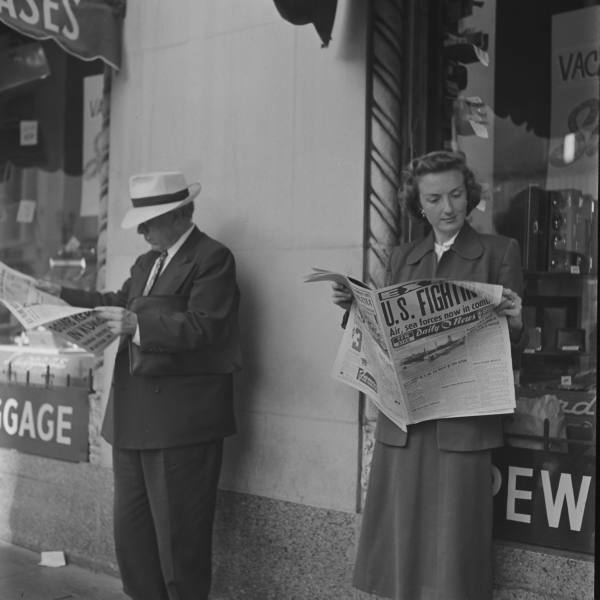 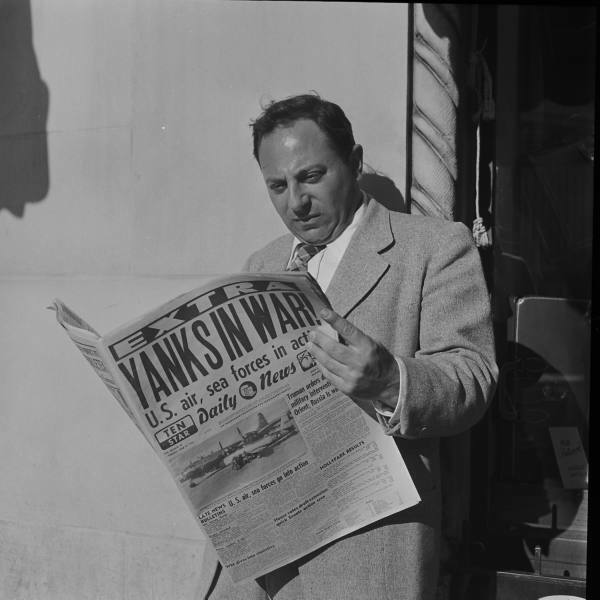 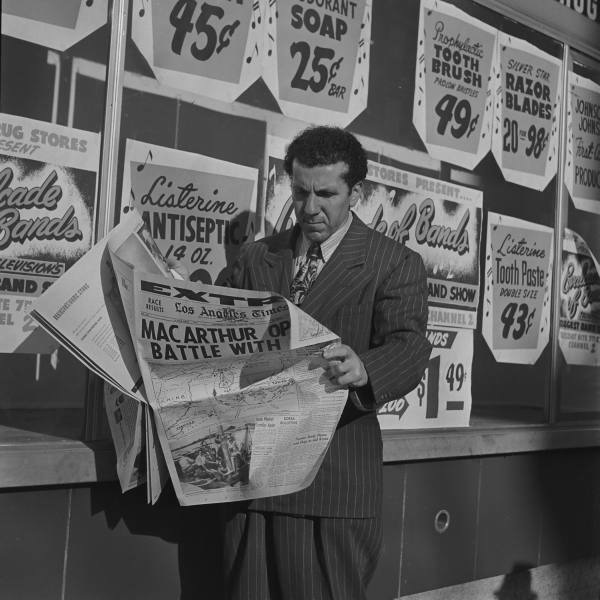 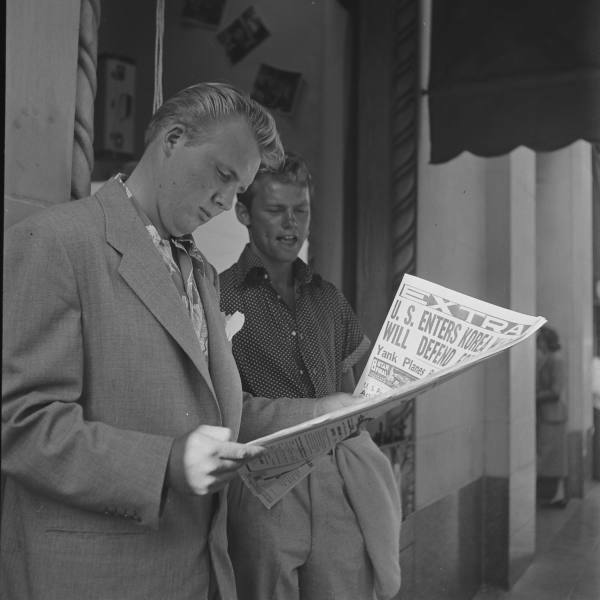 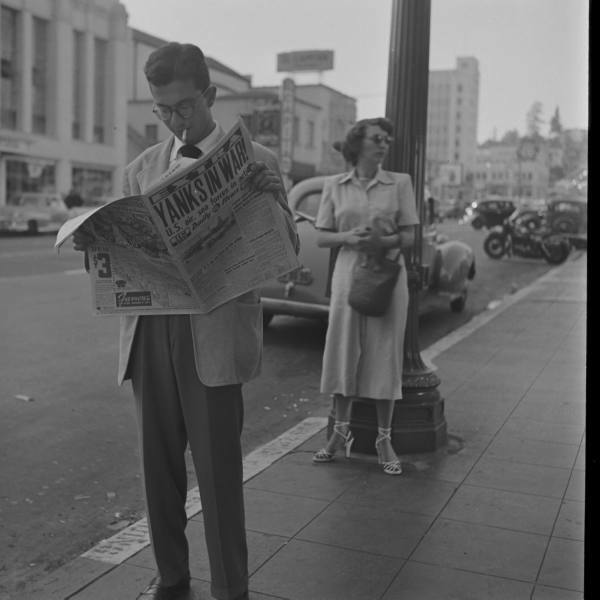 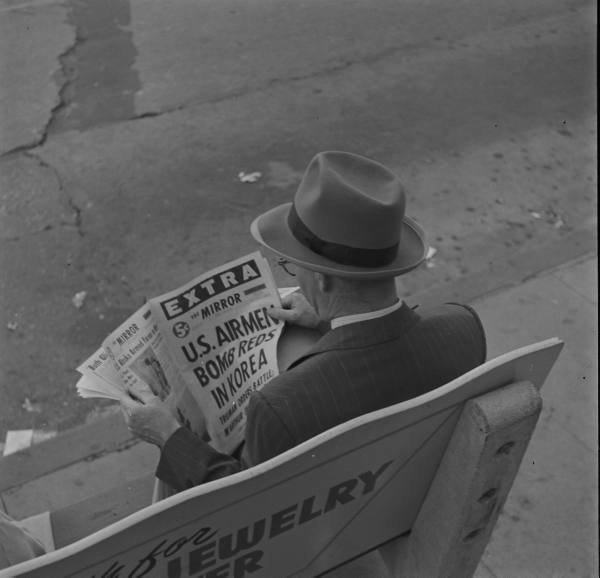 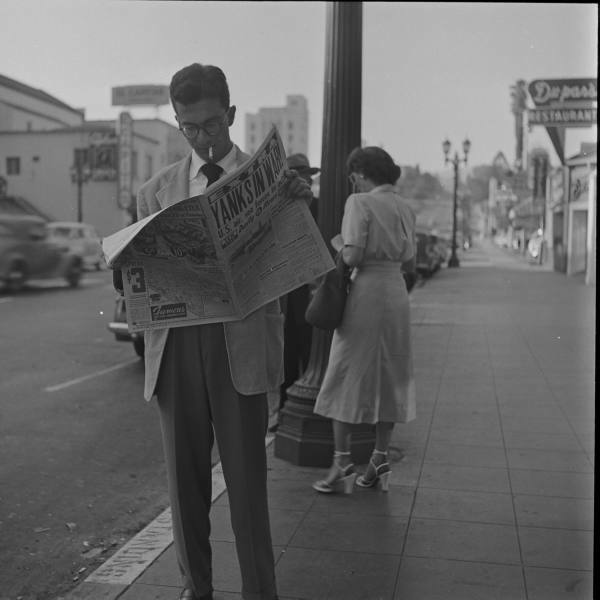 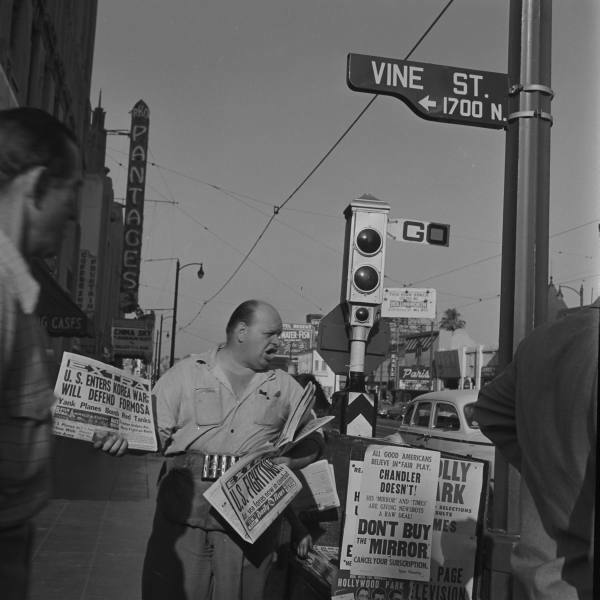 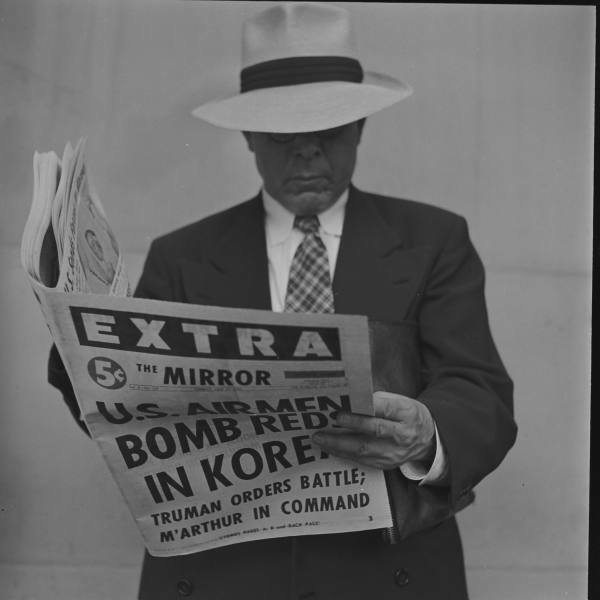 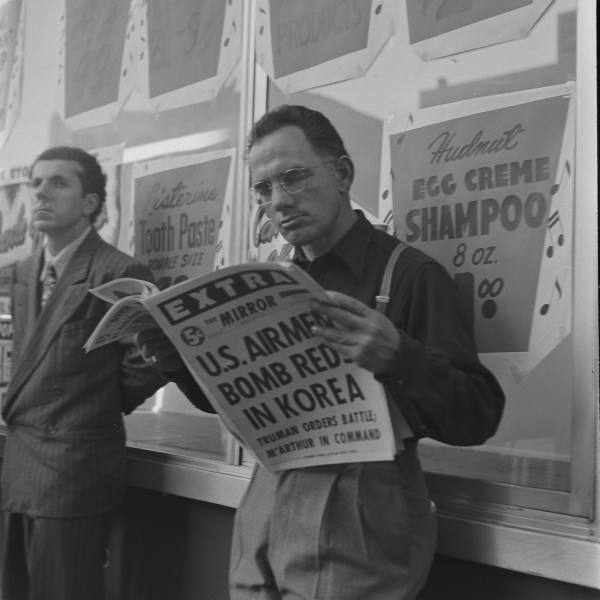 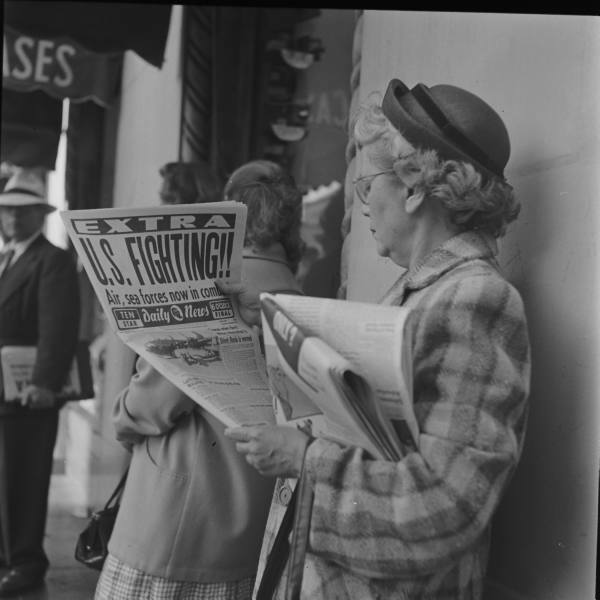 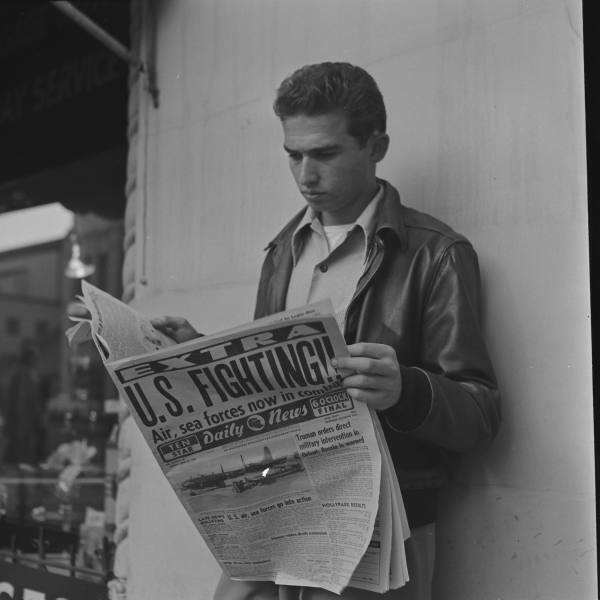 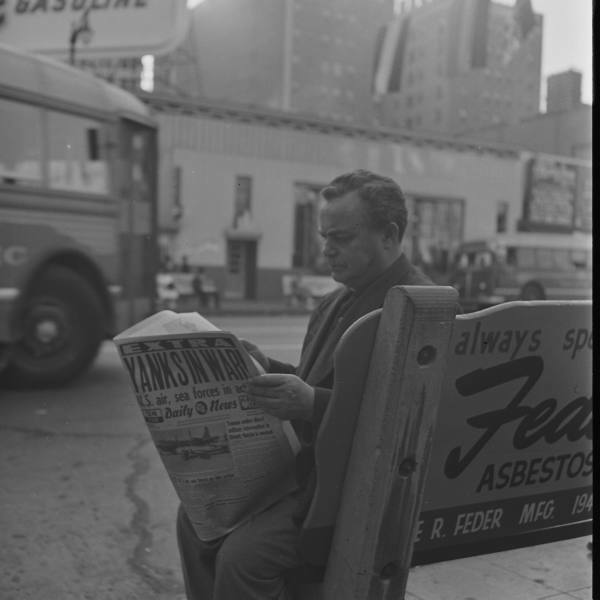 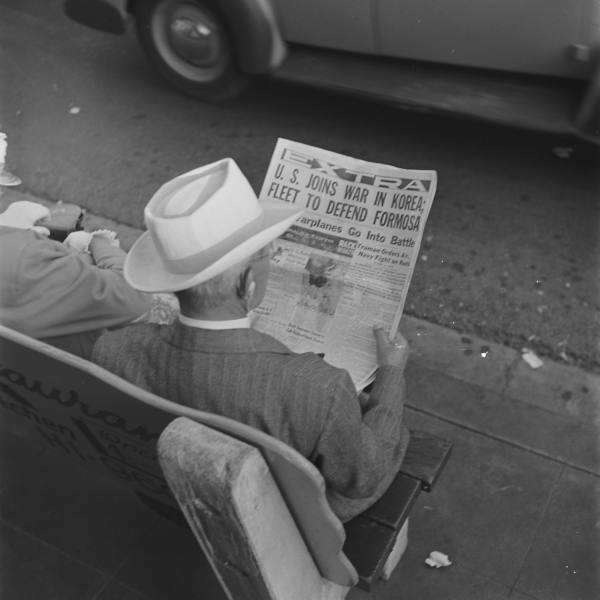 Men and women read news of the outbreak of the Korean War, Hollywood, 1950. 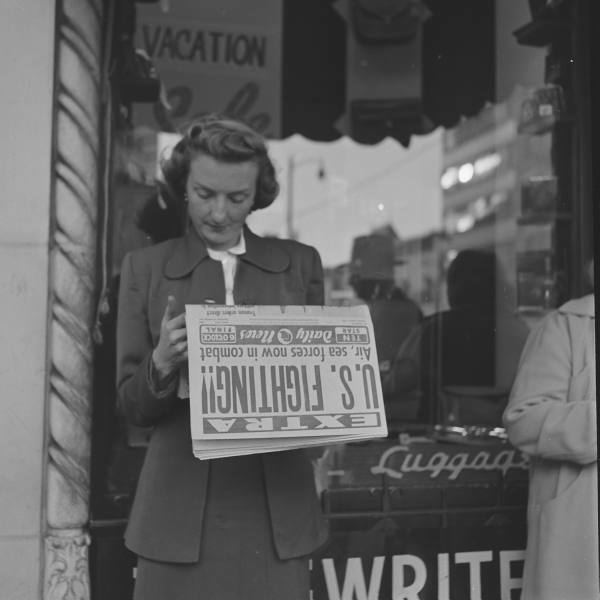 Love your blog - posted a link to it on mine. 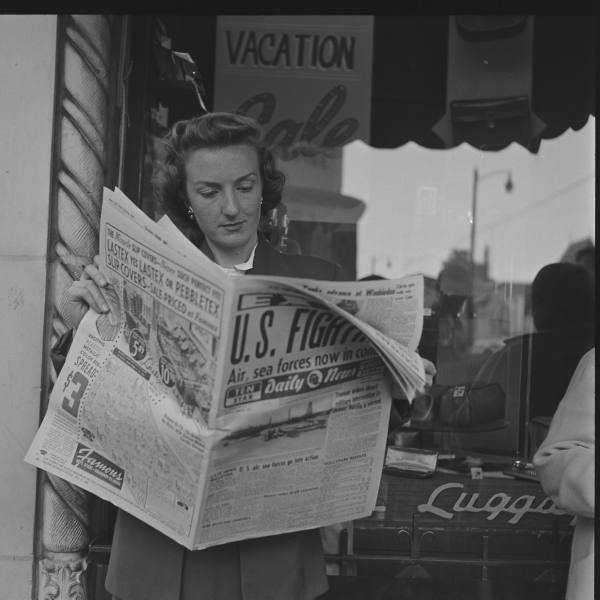 More people should be reading it!